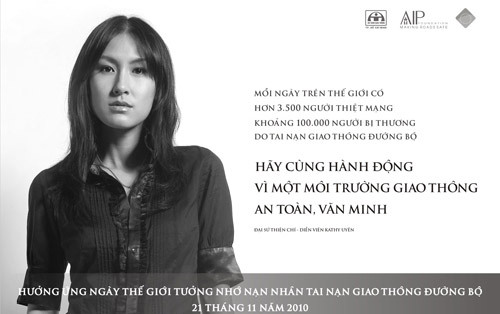 Actress Kathy Uyen (De Mai Tinh/Fool For Love) and singer Thanh Bui were chosen as Goodwill Ambassadors for the public awareness campaign launched by the Asia Injury Prevention Foundation (AIP Foundation) in coordination with the HCM City Traffic Safety Committee. For the first time, Vietnam has joined the event together with more than 100 other nations to remember road accident victims and share the suffering of the injured. The event also helps raise public awareness of road accident deaths and injuries in hopes preventing more road injuries and fatalities. In 1993, the Road Peace initiated the World Day of Remembrance for Road Traffic Accident Victims and on 27 October, 2005, the United Nations endorsed it as a global day to be observed on the third Sunday in November every year. This year’s event was celebrated on Sunday 21, November. 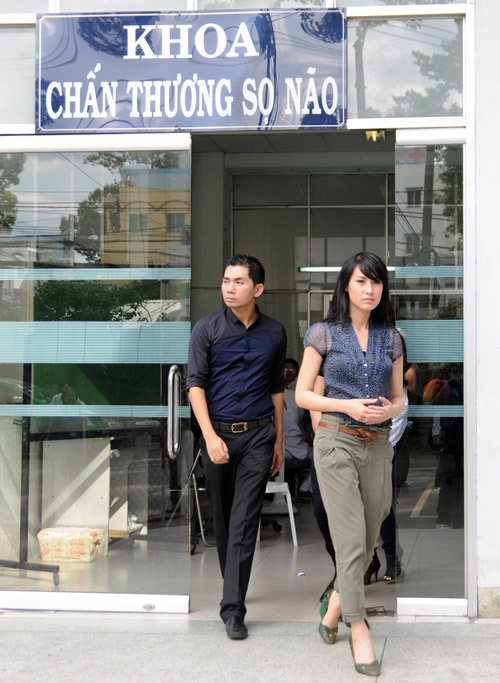 Kathy Uyen and Thanh Bui will be involved in many activities including visiting road accident victims, meeting with government officials to come up with solutions to prevent road accidents, and raising public awareness of traffic safety via the mass media. 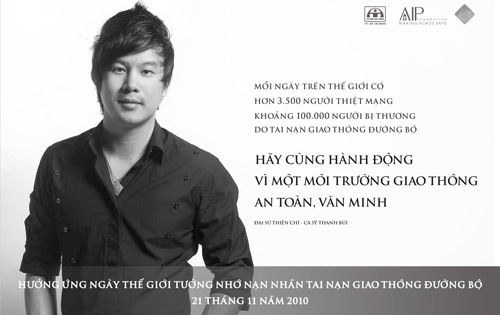 Vietnamese people don’t die from liver failure due to excessive alcohol consumption. It’s due to hepatitis C. I also have a very suspicious uncle in VN who’s supposed to have cancer according to my family, but there are many reasons why I suspect him to have HCV. And he’s right, it’s possible he will die from liver cancer in the end. But I think people lie about it because they think that others will avoid them or something, which is stupid. You don’t get HCV from touching people or eating together. Yeah, I find it odd how almost every male relative from Vietnam dies from liver cancer or failure because they “believe” it was due to excessive alcohol consumption. 0.o That’s what they say every time a male relative or friend dies from some kind of illness. It’s either they die from traffic accident or liver problems. And Vietnam definitely need to spend more effort in educating civilians to keep them safe and aware. Most commoners cannot afford to go to see a doctor. 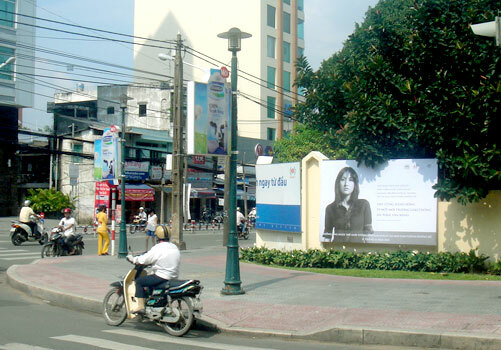 I don’t know if they provide health insurance in Vietnam but I was sure that some companies do provide health care for the employees.